﻿ GAAB Travel International Vacation Club Membership Details - Need Help? When on our "HomePage" you will see Recover your Lost ID or Password, simply click and fill in either your Membership ID # or the email address you used when you signed up for your membership and your details will be sent to the email address we have on file for you. If you cannot remember your Member ID or Email Address, simply select. Please click here to recover your Member ID and Password.. Enter your details and click NEXT. Your request will come directly to us and we in turn, will send your login details to you. HELPFUL HINT: Sometimes the problem encountered by members is that UPPER or lower case letters. Also quite a lot of characters look the same, be sure to check if the .o. is really a zero or if the .I. (eye) is really an .L.. If you continue to experience problems please feel free to contact our Customer Service Department, we will be happy to help you!! Welcome to GAAB vacation International! We understand you are excited to start accessing the benefits of your new membership. Rest assured, the very minute your Affiliate completes your registration in our system we will immediately send your Login ID and Password to the email address we have on file for you. Gaab vacation typically has the membership activation processed within 72 hours. This process can take longer. Should you wish to obtain a definitive activation date, please contact your Affiliate directly at their Customer Service telephone number, or by sending an email to their Customer Service email address. We look forward to assisting you with your very first holiday booked through GAAB vacation International! We are so pleased to offer three sections of our website where you the member may book on behalf of your family and friends. WCT - Flights, Car Rentals, Nightly Hotel Stays and More! Cruises - Take Advantage of Member Specials or Group Cruise options! Instant Bookings - Weekly (7 night, 8 day) Resort Accommodation! The Registry of Resorts is quite literally our online catalogue. Providing you with a listing of the resorts and unit sizes we carry under year-round contract at wholesale rates, the Registry of Resorts is constantly being expanded upon and allows you to submit a custom vacation request; you tell us the location and dates you wish to vacation and we will seek out availability catered to your request! In search of a larger unit size than is offered through the Registry of Resorts? Be sure to check our Newsletter listings! Hand-selected by our staff from the very best specials given to us by our providers, the accommodations featured within our Newsletter quite often consist of larger unit sizes. The listings provided within the Newsletter are date and unit size specific; if at first you do not see a holiday of interest, we encourage you to check back often as the Newsletter changes daily. For ease of viewing, we offer two (2) locations on the website where you can select to view Newsletter listings. From the Home page of the membership website, simply select the Newsletter icon » located within the Member Benefits panel placed to the left-hand side of the screen or by selecting the Newsletter tab found at the top of the webpage, immediately to the right of the Home tab. Our Hot Weeks selection consists of date and unit size specific inventory which features 4 and 5 star properties in a range of locations and unit sizes. Hot Weeks are updated on a daily basis and are priced at a maximum of $398USD. Pricing offered on Hot Weeks is Per Week! To search available Hot Weeks, simply select the Hot Weeks icon located in the Member Benefits panel on the left-hand side of the homepage. Endless Holidays are date specific weeks which are priced within the range of $399USD to $550USD. Pricing offered is not per person, nor per night, but is Per Week! Featuring 4 and 5 star properties, Endless Holidays can be found in range of unit sizes throughout the most desirable locations. Offering immediate confirmation, bookings can be made up to one year in advance. The Endless Holidays selections are available in most locations and can be viewed when selecting your destination through the Search Icon located within the Member Benefits panel..
Prime Weeks are date specific weeks which are priced within the range of $551USD to a maximum of $799USD. Pricing offered is Per Week! Our Prime Weeks selection consists of 4 and 5 star properties and can be found in range of unit sizes throughout the most desirable locations. Prime Weeks can be viewed when selecting your destination through the Search Icon located within the Member Benefits panel. Do you own a timeshare, but cannot use your time? Members who own a timeshare can post their week for rent on the website where it can be viewed by our world-wide member base. Payment will be collected directly from the requesting member and 100 percent of the posted price goes to the owning member. If we don't already have your property in our database, we will add it! This additional service is provided to members for FREE! For Members seeking accommodation the Member To Member section can be a great place to view availability; often featuring larger unit sizes during peak seasons, Members can rent directly from our Members who own timeshare with the same confidence as with any booking made through the clubl and just as with any of our other bookings, pricing will never exceed $799USD per week. To view the options available within the Member to Member section, simply select the Member to Membericon located within the Member Benefits panel. Specialty Holidays is a distinction used for accommodation with unique features. Listings found under the heading Specialty Holidays include, but are not limited to, All-Inclusive options, Short Stays and Theme related holidays, catering to sports and entertainment. Specialty Holidays can be viewed when selecting your destination through the Search Icon located within the Member Benefits panel. We are dedicated to ensuring that our Members receive the best possible service and value. If a location has become desirable and our wholesale rate cap cannot be met by the provider, we simply provide our Member direct access to wholesale rates from the provider. Featuring desirable destinations, Book Direct options can be viewed when selecting your destination through the Search Icon located within the Member Benefits panel. Can I change the date to the dates I wish to vacation? Can I change the date to the dates I wish to vacation? We do wish we could grant your request for alternate dates, unfortunately this is not possible as these weeks are owned by other Members, resort developers and/or by the club directly and cannot be changed. However, there is great news and that is the fact that new inventory is added daily! We encourage you to check back often to find if your preferred dates have become available. HELPFUL HINT: Many of our members have found it is cheaper to use a Hot Week even if you are only going to stay a few days. If you will be arriving late, please contact the club at least 48 hours in advance of your check-in date so that we can provide you with any late check-in procedures. You are welcome to leave before the scheduled check-out; however there would be no refund or proration for the unused nights. The vast majority of the resorts featured on the club's website are 4 and 5 star properties. Dependent upon geographic location and the varying standards from that which is set in the United States, we do carry some 3 star STANDARD properties. 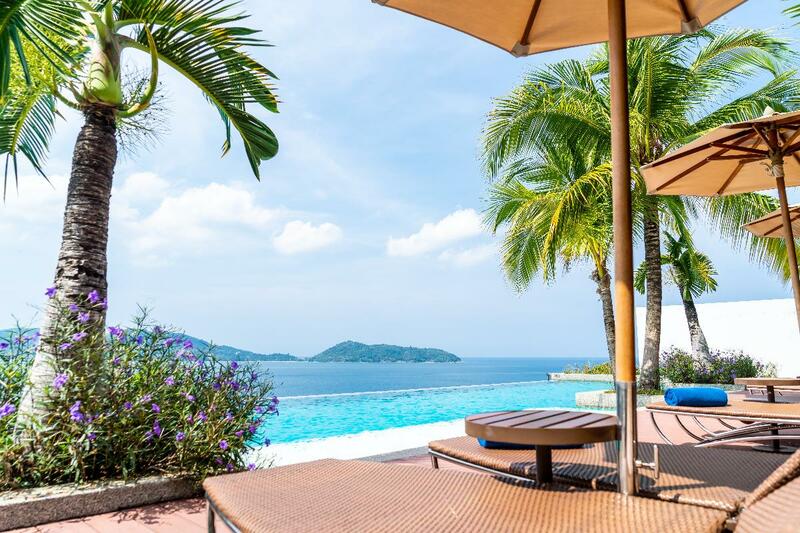 Although not considered to be a traditional 4 or 5 star resort, these properties are in excellent areas and are a fabulous option for the quaint type of accommodations that are desired in that location. We can complete your holiday request in as little as 3 to 4 days and as far out as 11 months in advance. HELPFUL HINT: While the early bird may get the worm, most of our Contracts are 8-9 months out in advance of the desired check-in date and we do not recommend that you place your request for vacation planned more than a year out. As a helpful hint, the optimal time to submit a request is within a 3 to 6 month window. The Registry of Resorts shows what we carry under contract on a year-round basis, however that does not mean for certain dates that larger units aren't available. In fact, our staff diligently loads larger units within the date-specific areas of our website on a daily basis. We recommend that you check out the date-specific inventory as a number of larger units can be found within our Hot Weeks, Newsletter and Instant Bookings sections on any given day. Submitting a request simply means that our Reservation Department will begin searching for available options for your specific vacation request. You will always have the option to accept or decline an offer that is made to you. We do ask that only serious requests are submitted so that we may give our full attention to our vacationing members. We are happy to offer clarification. In order to offer our members the greatest savings advantage by obtaining the lowest wholesale pricing, our providers have dictated that once an accommodation is booked, it cannot be changed or cancelled for any reason. We understand life is full of little surprises that may not always fit within our plan. We recommend that you add a rider to your flight insurance that will assist you in receiving compensation by covering your accommodation in the unlikely event that you are not able to attend your scheduled holiday. Club Management always likes to err on the side of caution. We request that you wait to book your flights until you have received notification from us that your payment has been processed. Once received, you are safe to book flights. Need to speak with a GAAB vacation Distributor? Plan an online tour » to see it all. Post by travel Industry Secrets Revealed. GAAB Travel International is an authorized reseller of one of the largest Vacation Club Memberships in the world, which has been satisfying members since 1986. With 40 reps around the world, we can answer your questions in English, French, Spanish, and Dutch. This is a legitimate membership offering. Our club travel provider is a reputable travel industry leader ( CARE Member and ARDA Member ) with over 50,000 members over the past 30 years.